It is very easy to improve the readability of text in windows-7 (or Windows-8) via MS software ClearType! [... see Image 1 Arrow-1]. In the Control-Panel / Display click Adjust ClearType text to open the ClearType text Tuner [... see Image 1 Arrow-2]. Turn on the ClearType [... see Image 1 Arrow-3] and customize the ClearType individually for their eyes and eyesight in 4 steps via clicks on "Next" button [... see Image 1 Arrow-4]. as those printed on a piece of paper. 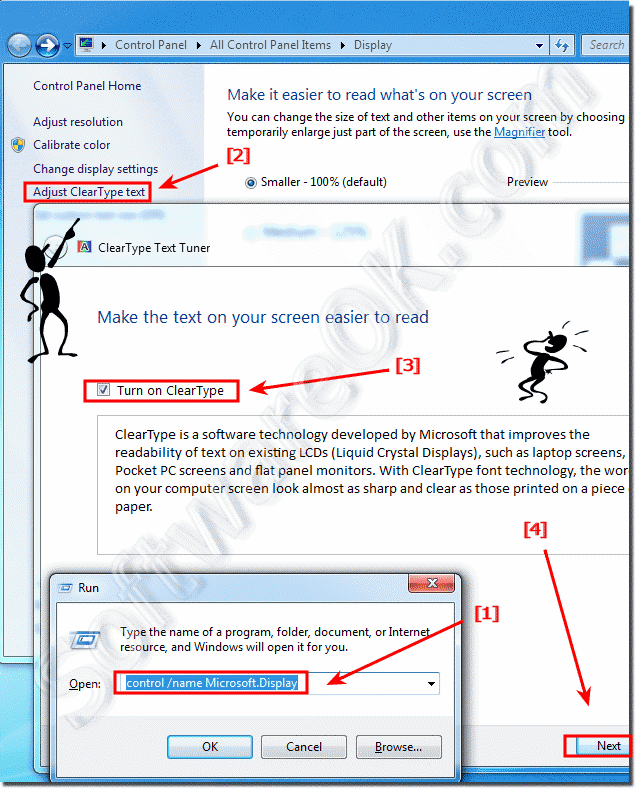 Windows-7 - FAQ-67: Improve the readability of text in windows-7 via Clear-Type settings!